This monsoon season was Tucson's 10th wettest on record. From June 15th to September 30th we received 8.62 inches of rain! That's a lot for the desert. The official measurement is taken at the airport only 2 miles from my home. Why is this significant, you ask? 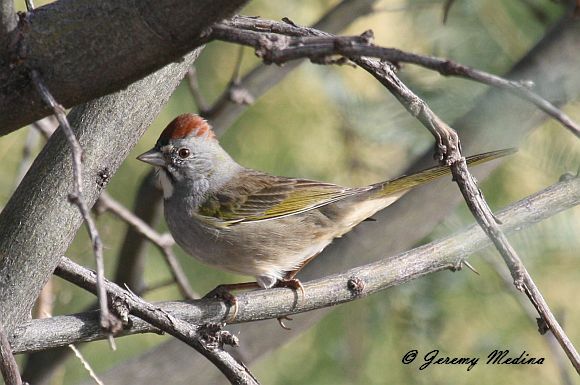 Well, all that rain turned my neighborhood birding patch into prime sparrow habitat. Different grasses started growing all over, reaching four feet high in some places. Red, orange, yellow, and purple flowers even popped up. 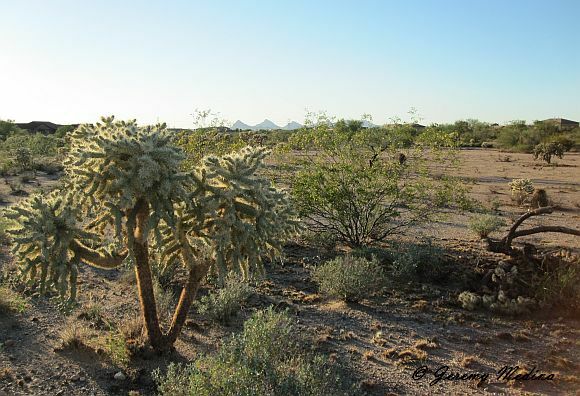 Farther away from the houses the grasses thin out and give way to cholla cactus and creosote bush. This is my second fall in this neighborhood. 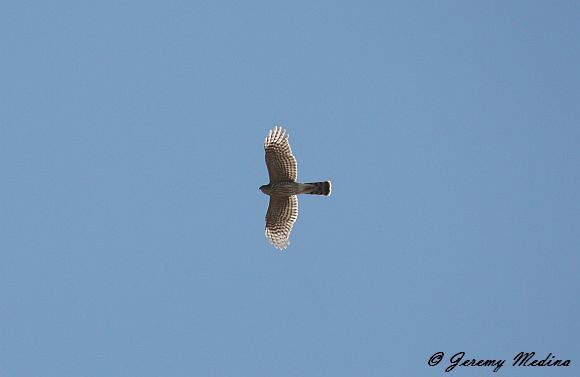 But before this September I had only birded this patch a few times. 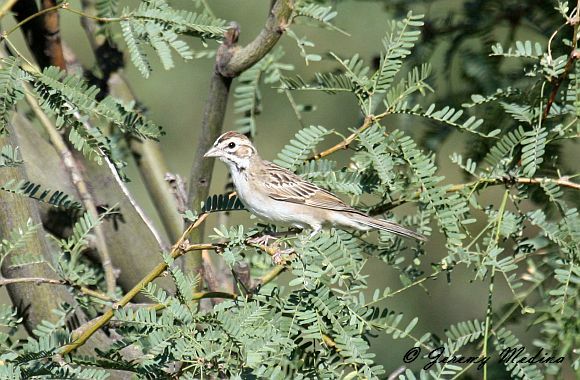 The only two types of sparrows I had seen were White-crowned Sparrows in winter and Rufous-crowned Sparrows in May. 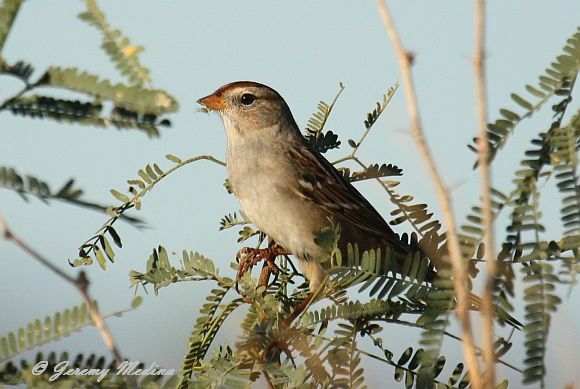 So I was thrilled at the beginning of September to find Rufous-winged Sparrows, a Southeast Arizona specialty. Their accelerated trill seemed to be coming from everywhere! A week later I found this adorable fledgling. I think I did a little dance after seeing it. I started to wonder what else would show up here, maybe a Clay-colored Sparrow? 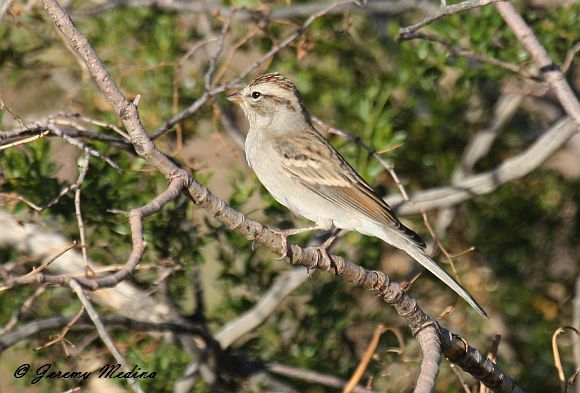 They are listed as rare in September and the first half of October (Finding Birds in Southeast Arizona). 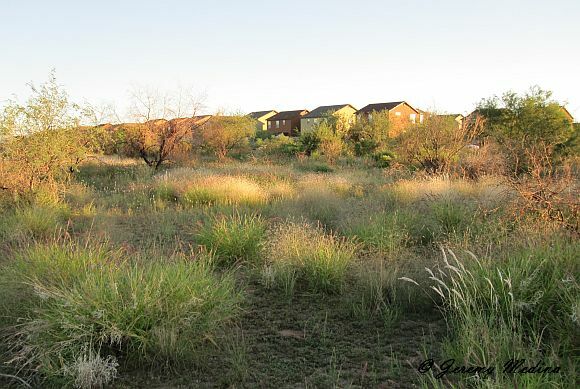 But every fall a few are reported around Tucson. 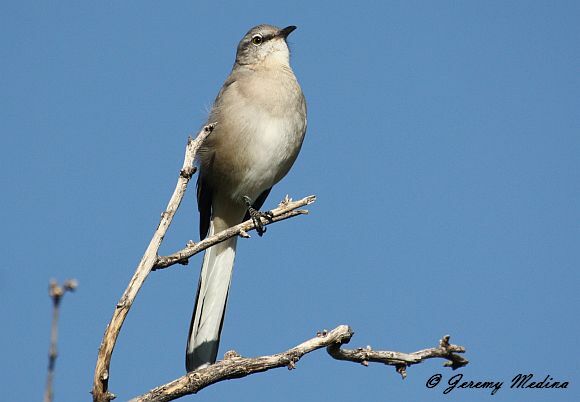 My only sighting of one was four years ago along the Rillito River. So I studied my Sibley guide until the head pattern was etched in my brain. 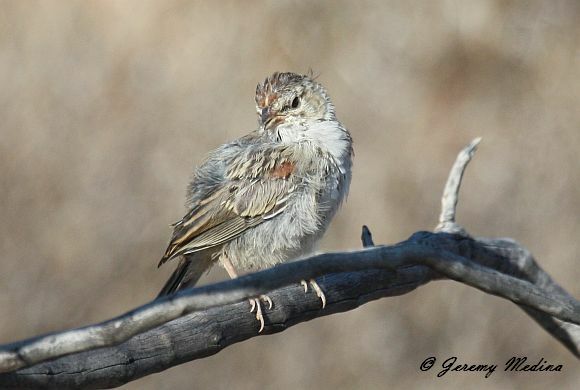 I continued to turn up different sparrows in the following weeks. 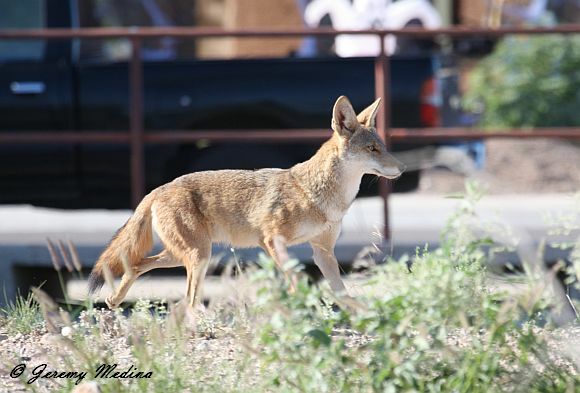 I even saw this beautiful coyote! I searched carefully through the flock for another 30 minutes without any luck. The sun was beginning to set and I was about to give up when I detected some movement through the branches. 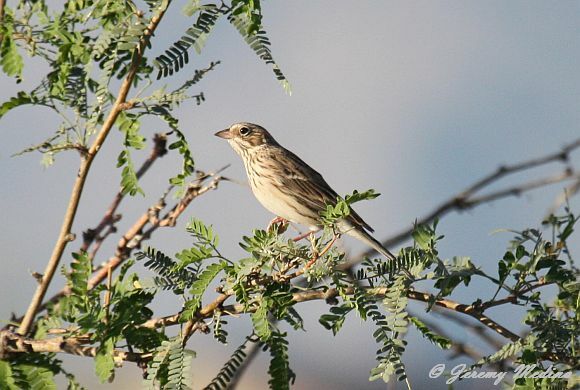 I raised my binoculars and... there it was, a Clay-colored Sparrow! I took a photo through the branches, but the lighting was bad and the branches were obstructing the view. The bird flew off and I wasn't able to relocate it. I did a little fist pump, yeah! But darn! 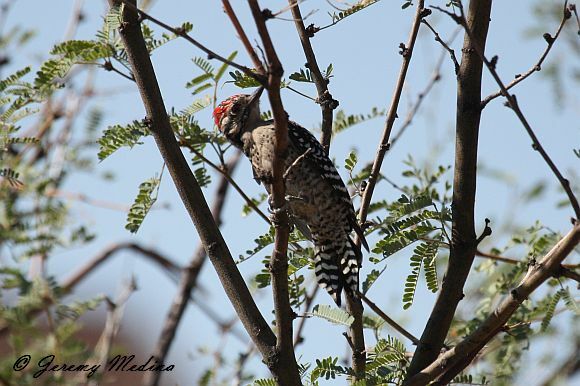 I was excited about finding this rare bird, but at the same time disappointed about not getting a clear photo. 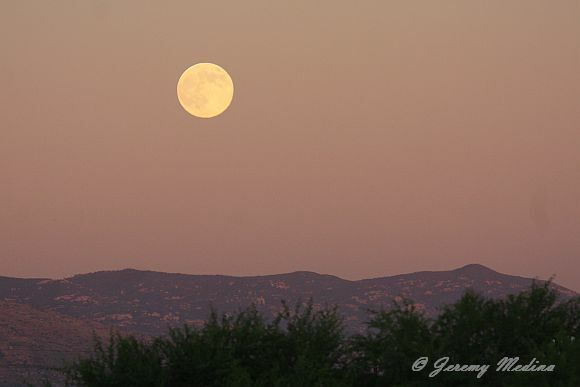 I stuck around and watched the full moon rise as the sun set. Yes! This sighting was even sweeter since they're considered "casual" after mid-October. I flung open the front door and did a little dance. Three sweet little faces turned away from the TV and looked at me like I was crazy. "Dad! What are you doing?" they asked. 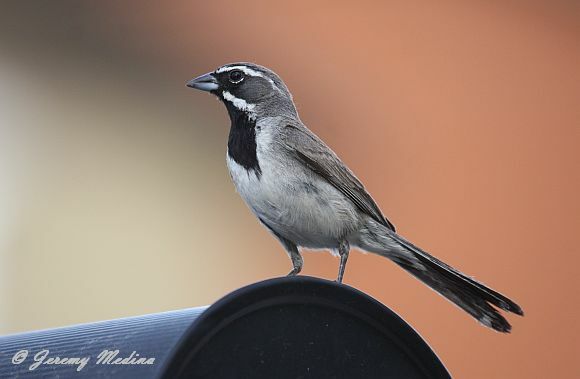 "I just got a good shot of a rare sparrow!" They laughed at me and went back to watching TV. Maybe they didn't like my dance, but at least they said the photo was "cool". 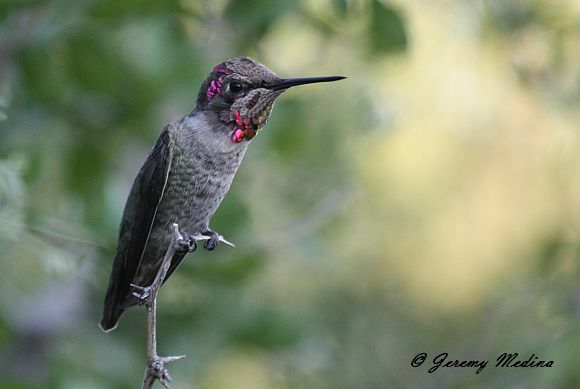 Great story, and gorgeous photos, Jeremy! 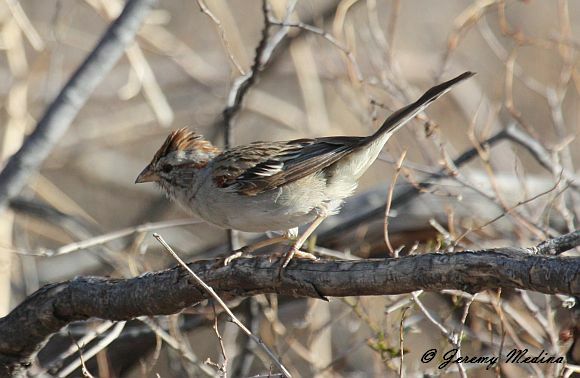 The Clay-colored Sparrow is a beauty! The little brown birds are little brown beauties. Wonderful photos of all the birds. 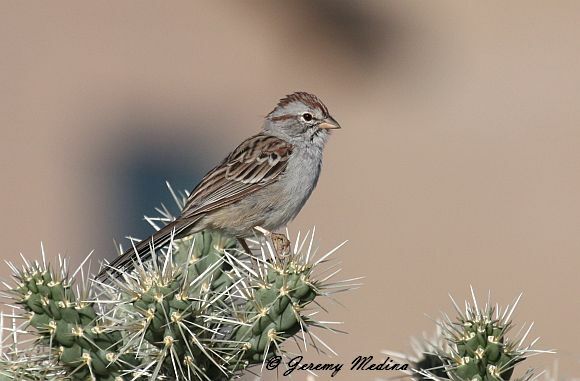 I, too, am a Tucson birder, so I really appreciate seeing these 'local' birds in our habitat. 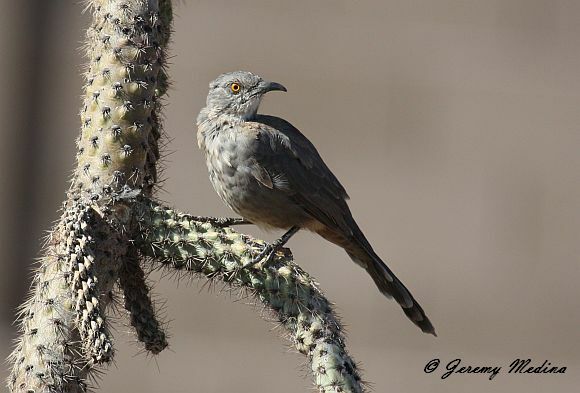 That is some nice Arizona birding there Jeremy...and a couple birds I've yet to see. Nice post! Wonderful photos! 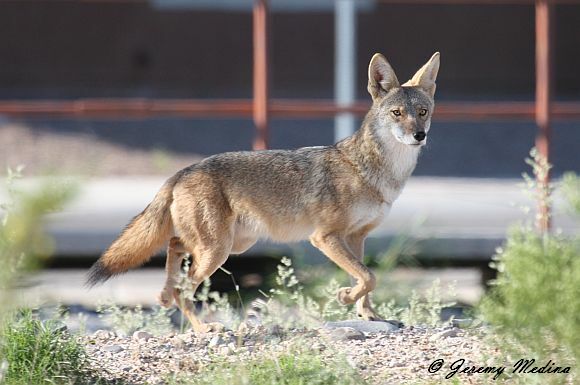 And that coyote is just about the best-looking one I've ever seen. Jeremy! You are making me miss AZ and Tucson! 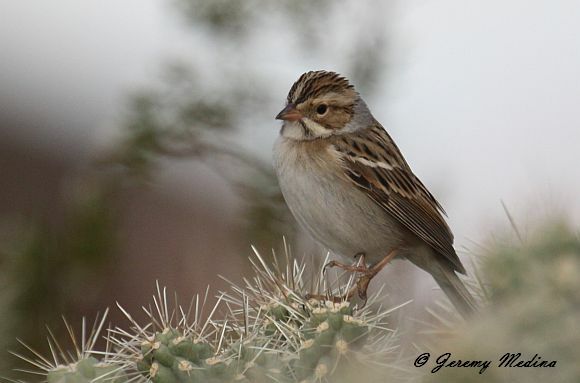 I have seen all of those birds there EXCEPT the clay-colored sparrow! Wow! What a find! Good for you! I'd be dancing too! I have never seen one anywhere and would doubt myself if I DID see one! Wonderful post and photos. I also have kids who at least will nod and say nice shot as they turn back to what they were doing. Thanks, Jeremy, for a blast of nostalgia! Great pictures. It's nice to see birds we don't have in my area. Great images! Glad to read that you did eventually get the Clay-colored.